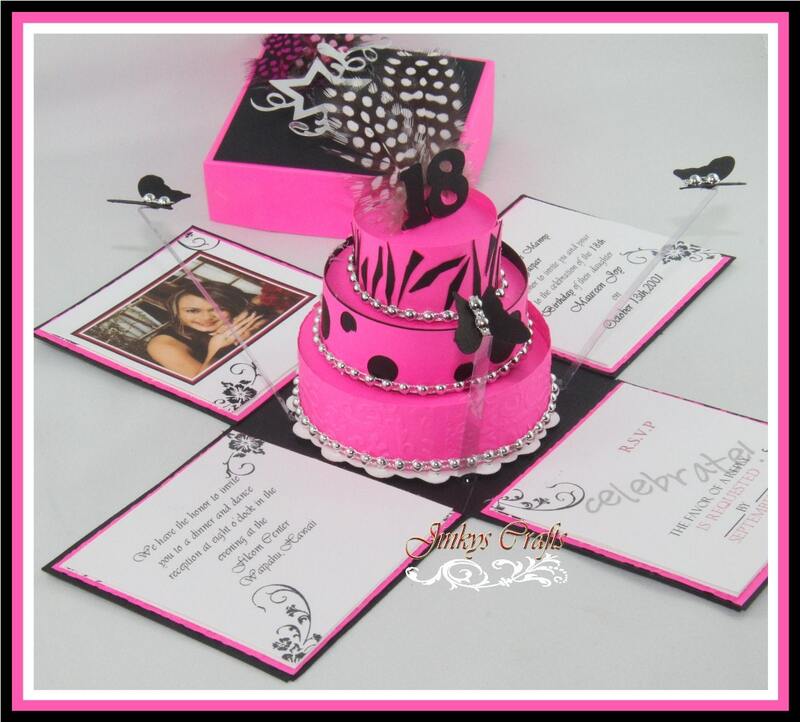 A Disney Fairytale Quinceañera calls for a unique invitations. Something spectacular! 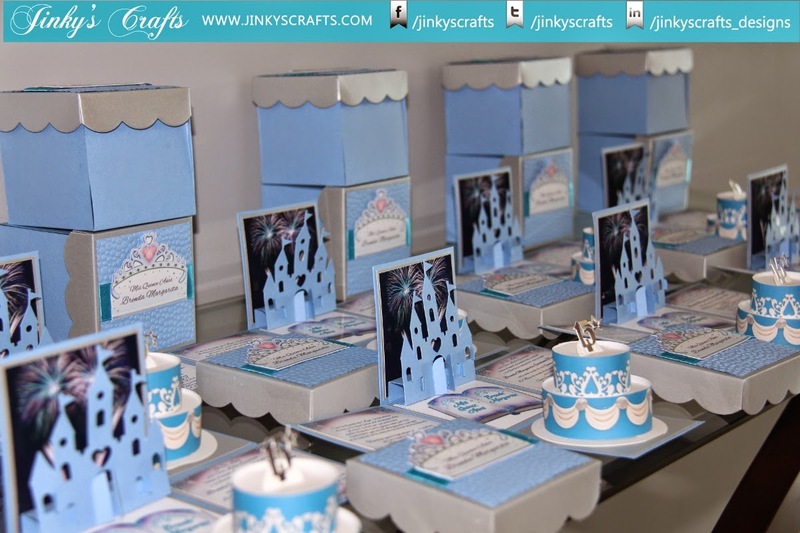 At JinkyCrafts we listen to your ideas, your visions and we will do our very best to make your dream invitation comes to life. YOU DREAM IT, WE DESIGN, WE DELIVER. We are committed to listen to you. 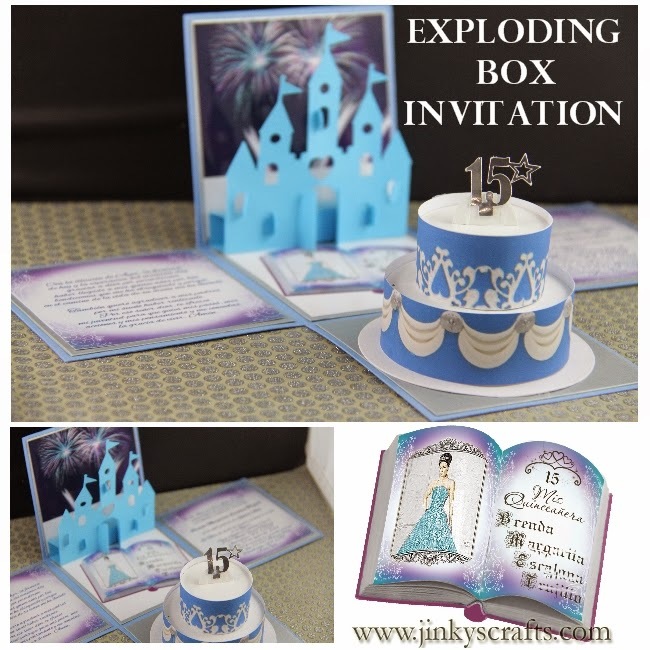 This Disney Fairytale Exploding Box with 2-Tier Cake has a 3D Castle too! How cool is that! 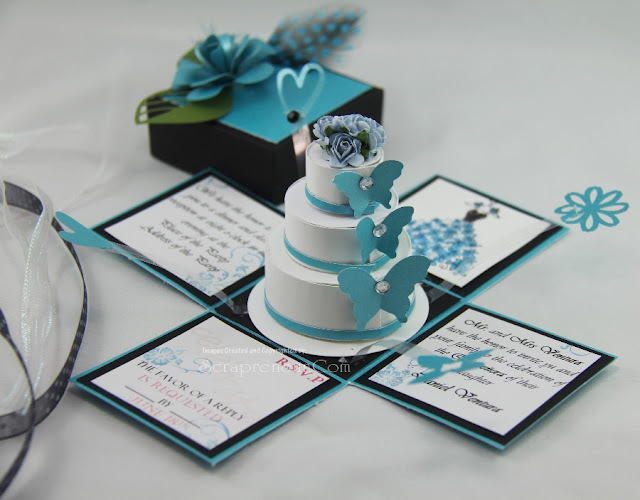 There are 4 flaps or panels that contains your event information such us the Main Invitation Wordings, Church and Reception, Court Names or Sponsors Names, Photos if you desire to include. 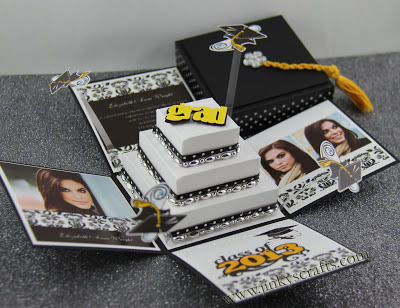 Your Exploding Box lid is decorated with custom cut-out crown with custom graphics. 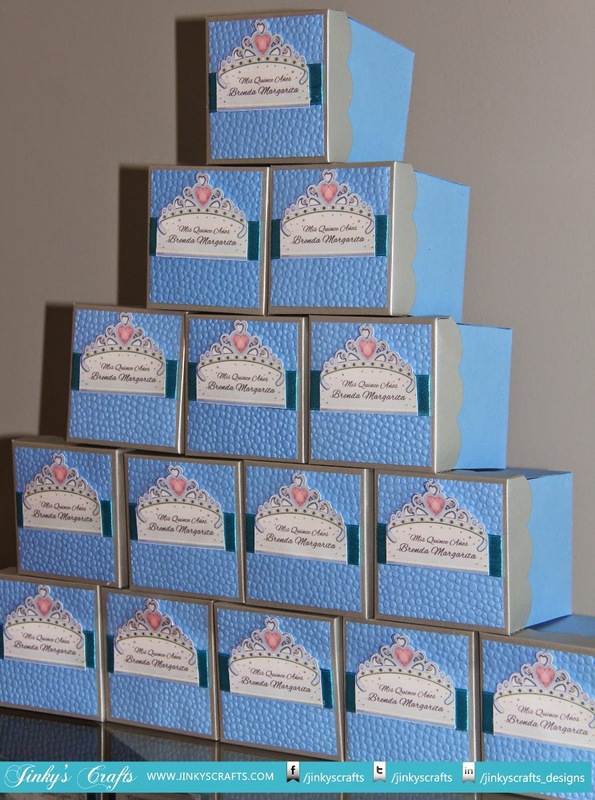 These Disney Inspired Box Invitations can be customized for Weddings, Sweet Sixteen, Bat Mitzvah or any Themed Birthdays or Events. 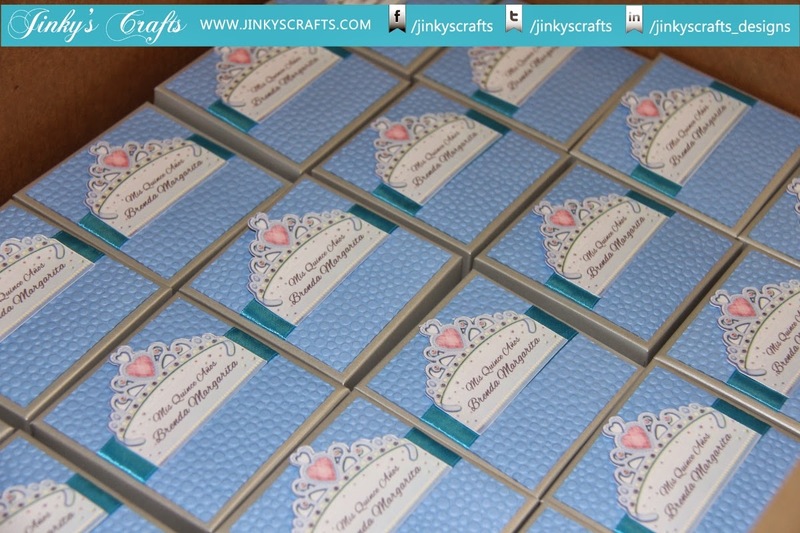 You can order your DIY kit or Fully-Assembled Wedding Invites at jinkyscrafts.com.